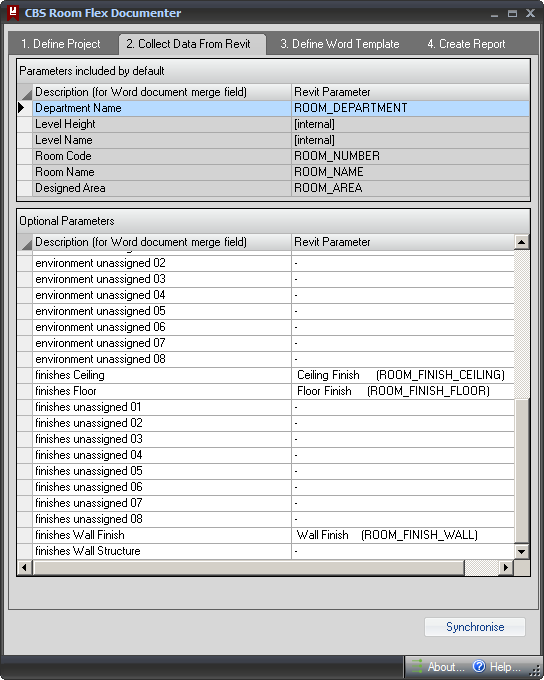 The purpose of the CBS Flex Documenter is to create .doc and .pdf room data sheets using parameters read from the rooms of a Autodesk® Revit® model. 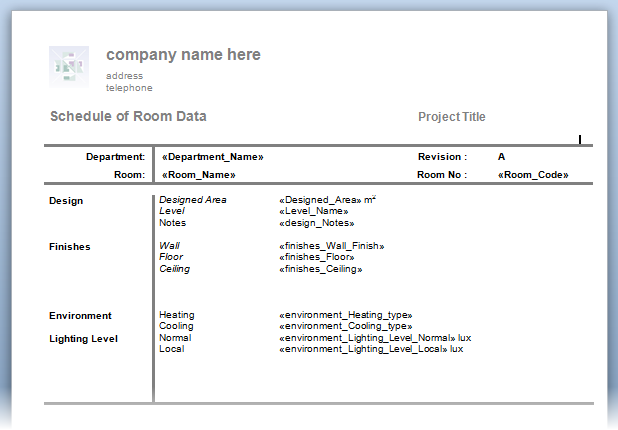 The room data sheets can include both text and a jpg picture of the room. 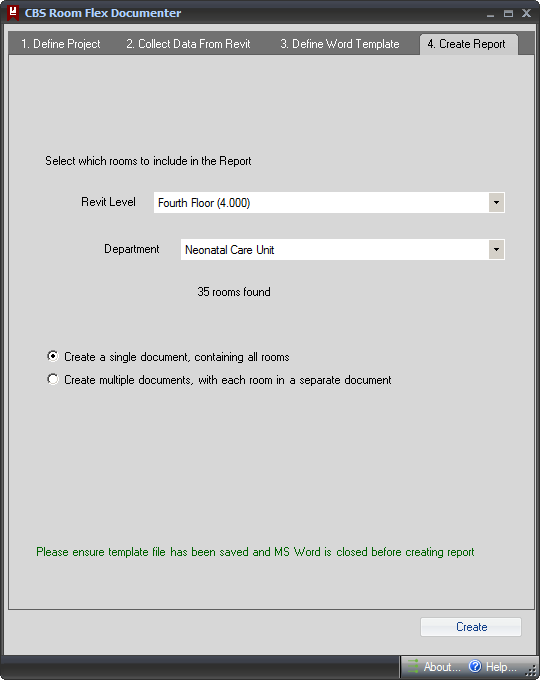 A standard CodeBook Project database is created during the import process. If doing a one off import, this file can be discarded. 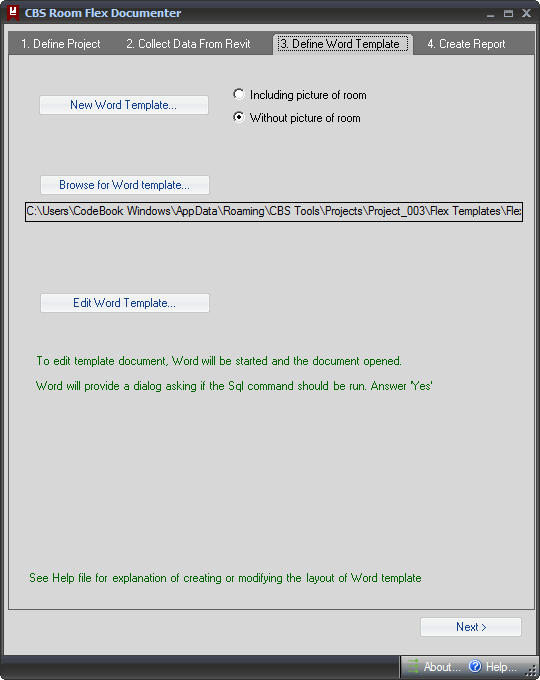 However, if retained, it can be used with other CBS Tools. 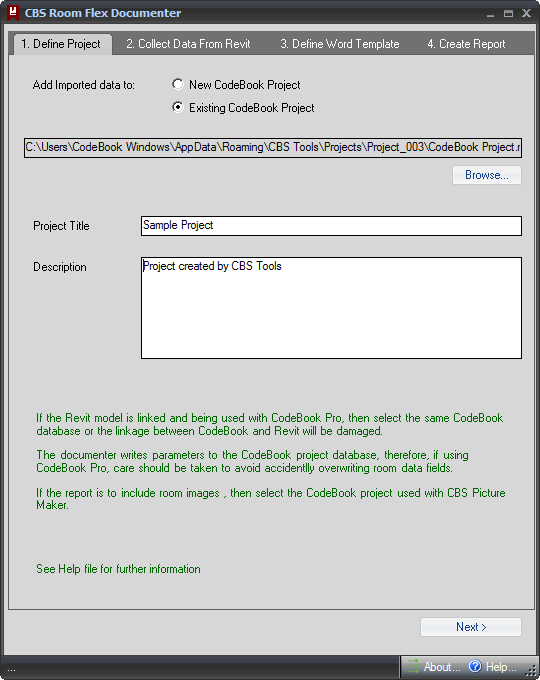 The CodeBook Project database can also be used with the CodeBook Pro software, taking advantage of the full functionality of libraries, templates and synchronization that CodeBook Pro provides. The CBS Flex Documenter retails for USD 69.00.